← GO SEE THE BIG SHORT! Monetary History: Should Legal Tender Laws Be Abolished? Hepburn v. Griswold reached the U.S. Supreme Court in 1869, five years after the war had ended. 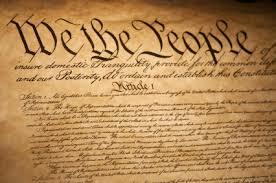 The Court ruled in favor of Griswold, holding in a 4-3 decision that legal-tender laws violated the U.S. Constitution. There is a well-known law of currency, that notes or promises to pay, unless made conveniently and promptly convertible into coin at the will of the holder, can never, except under unusual and abnormal conditions, be at par in circulation with coin. It is an equally well-known law, that depreciation of notes must increase with the increase of the quantity put in circulation and the diminution of confidence in the ability or disposition to redeem. Their appreciation follows the reversal of these conditions. No act making them a legal tender can change materially the operation of these laws. It is certainly not the same power as the power to coin money. With the holding in Griswold, the federal government was left with the power to borrow to finance its operations but without the authority to force people to accept its notes at face value for the payment of debts. Thus, the American people could still protect themselves from a profligate government by expressly providing that notes and contracts could be repaid only in money (i.e., gold coin), not in federal promises to repay money. One year later, however, the legal situation changed dramatically. President Ulysses S. Grant, who had commanded Union forces during the war, appointed two new justices to the Supreme Court who promptly joined the minority in Griswold. In Knox v. Lee, decided in 1879, the Supreme Court voted to overturn the decision in Griswold and to uphold the constitutionality of Lincoln’s legal-tender law. The new majority reasoned that the power to enact a legal-tender law was an implied power that fell under the president’s war powers and the power over monetary affairs that the Constitution had granted to Congress. But as the dissent pointed out, the implied-powers doctrine cannot be used to create new powers. The war power, for example, entails the power to pay for war expenditures but the means by which to pay for such expenditures were limited to those enumerated in the Constitution, i.e., through taxes and borrowing. As the dissent also emphasized, the congressional power over monetary affairs was specifically limited to the coinage of money and did not extend to the enactment of laws requiring people to accept federal promissory notes in lieu of such money. The power “to coin money” is, in my judgment, inconsistent with and repugnant to the existence of a power to make anything but coin a legal tender. To coin money is to mould metallic substances having intrinsic value into certain forms convenient for commerce, and to impress them with the stamp of the government indicating their value. Coins are pieces of metal, of definite weight and value, thus stamped by national authority. Such is the natural import of the terms “to coin money” and “coin;” . . ..
… The power to coin money is, therefore, a power to fabricate coins out of metal as money, and thus make them a legal tender for their declared values as indicated by their stamp. If this be the true import and meaning of the language used, it is difficult to see how Congress can make the paper of the government a legal tender. The statesmen who framed the Constitution understood this principle as well as it is understood in our day. They had seen in the experience of the Revolutionary period the demoralizing tendency, the cruel injustice, and the intolerable oppression of a paper currency not convertible on demand into money, and forced into circulation by legal tender provisions and penal enactments. Field also pointed out that the Constitution had not delegated to Congress the power to impair private contracts. With Knox v. Lee the seeds were sown for a monetary revolution in American life — a revolution that would bring the inflationary plunder and moral debauchery that have characterized nations throughout history. The revolution began with Lincoln. But it would culminate in one of most massive assaults on private property in U.S. history — President Franklin Roosevelt’s nullification of gold clauses in contracts and his confiscation of gold from the American people. It is impossible to overstate the significance of the Franklin Roosevelt administration’s confiscation of gold and its nullification of gold clauses in contracts. It is one of the most sordid episodes in American history. To get an accurate sense of Roosevelt’s actions, it would not be inappropriate to compare what he did with the domestic economic policies of a later 20th-century ruler, Cuba’s socialist president, Fidel Castro. On April 5, 1933, newly inaugurated President Roosevelt issued Executive Order 6102, which prohibited the “hoarding” of gold by U.S. citizens. Americans were required to turn their gold holdings over to the federal government at the prevailing price of $20.67 per ounce. Pursuant to Roosevelt’s executive order, anyone caught violating the law was subject to a federal felony conviction, 10 years’ confinement in a federal penitentiary, and a $10,000 fine. Soon after the confiscation, U.S. officials announced that the government would sell its gold in international markets for $35 an ounce, thereby devaluing the dollar by almost 70 percent and immediately “earning” a potential profit of almost $15 an ounce on the gold it had confiscated. Two months later, Congress enacted legislation nullifying gold clauses in both government and private contracts, thereby requiring creditors in such contracts to accept devalued paper money in payment of such contractual obligations, even though the contract itself stipulated payment tied to gold. Reflect for a moment on the significance of what Roosevelt did. Gold coins and gold bullion were private property, just like a person’s automobile, clothing, home, and food. On the mere command of the president of the United States, federal authorities simply confiscated gold holdings that were the private property of the American people and made it a grave federal offense to own such property in the future. Your thoughts on a better monetary system. Why not let the market choose money and set the price? This entry was posted in Economics & Politics and tagged Gold, US Constitution. Bookmark the permalink.